This relatively new piece of equipment provides added protection to the upper torso, ensuring all players can go out onto the field in more confidence. 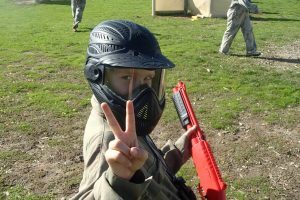 Particularly popular with female players, the paintball body armour has been a great initiative that most centres now offer in some form or another. The easy slip-on armour instantly adds extra protection to your chest and back, areas where players usually receive the most amount of hits. The AUPBA recommends all children below the age of 16 be issued with body armour. With the minimum paintballing age varying from state to state, please check with your local paintball provider the minimum age for your state and whether or not they provide adequate body armour. This piece of equipment will give more confidence to those who were previously afraid of getting right into the action. 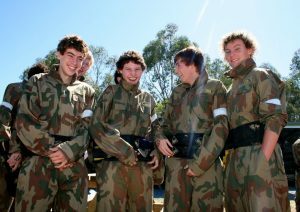 Lightweight and comfortable, the body armour is the perfect addition to your next paintball event. Contact an AUPBA-approved centre to find out about the equipment you’ll receive on your next paintball adventure.